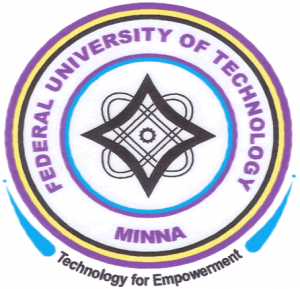 Federal University of Technology, Minna, FUTMINNA vacancy for the post of Registrar. The position of the Registrar of the Federal University of Technology, Minna, Niger State, Nigeria will become vacant by June, 2018. Applications are therefore, invited from suitably qualified candidates for the post. The Registrar is the Chief Administrative Officer of the University and shall be responsible to the Vice-Chancellor for the day-to-day administrative work of the University. Among other functions, the Registrar will serve as Secretary to Council, the Senate as well as the Congregation and Convocation of the University. A candidate applying for the position must not be more than fifty-nine (59) years of age at the time of appointment. The appointment is for a period of five (5) years subject to one (1) year extension subject to satisfactory service. The Candidate must possess a minimum of Second Class Lower Honours Degree in Social Sciences from a recognized University. Possession of higher degree(s) in relevant subjects will be an advantage. The candidate must be a member of Association of Nigeria University Administrators (ANUPA) and one other relevant administrative/professional association. The candidate must not only be knowledgeable in Information and Communication Technology (ICT), but also demonstrate capacity to deploy ICT skills in normal University Administrative and Management functions. The candidate must be physically and mentally fit, person of high integrity and must have good leadership qualities; command respect and able to carry colleagues along. Also the candidate must have high level of interpersonal, verbal and written communication skills. The candidate must also satisfy the basic requirements for appointment into the University as approved by the Governing Council. The candidate must have at least fifteen (15) years of broad and continuous post-qualification experience in University administration of which three (3) must be as a Deputy Registrar. The remuneration and conditions of service are as applicable to the post of Registrars in all Federal Universities in Nigeria and as may be determined by the Council and the Federal Government from time to time. The envelope containing application and vision statement should be sealed and marked at the top left hand corner “Post of Registrar, FUT, Minna” and submitted not later than six (6) weeks from the date of this publication. Applicants are to note that only short-listed candidates will be contacted. For further information, candidates are advised to visit our website: www.futminna.edu.ng.